Fancypants Soapnuts are 100% organic so safe for you, your family and the environment. We have been waiting for this season’s harvest and our new batch of Soapnuts has arrived! This lovely new supply is fresh from the Sapindus Mukorossi tree making it yellow/orange ish in colour and a little sticky. Full of the same 100% organic washing ‘awesomeness’ which makes them our number 1 choice for washing cloth nappies. Soapnuts are a completely natural berry grown in the Himalayas. They contain none of the typical substances found in laundry detergents such as enzymes, whiteners, brighteners and perfumes – substances that often cause skin irritations. For laundry, simply place a few Soapnuts (3-6) into the small wash bag provided and place it in the machine with your washing. The saponins in the shell of the Soapnut act as a natural surfactant in the water – freeing dirt, grime and soil from laundry. When the laundry is rinsed, the saponins and the dirt are washed away without harming the environment. You can even use the grey water in your garden. Soapnuts will leave your nappies clean and fresh without the need to add any chemical fabric softeners or conditioners. 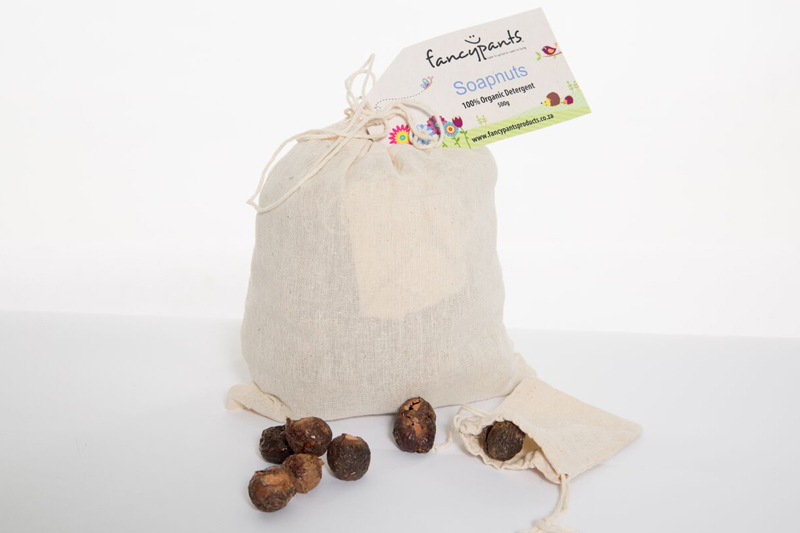 One wash bag of Soapnuts can be used to wash approximately 4 to 5 loads of laundry for washing at temperatures of 30 – 60 degrees Celsius, and for 2 – 3 loads at higher temperatures. Based on this, one 500 gram bag of Soapnuts will wash approximately 90 – 100 loads of laundry.